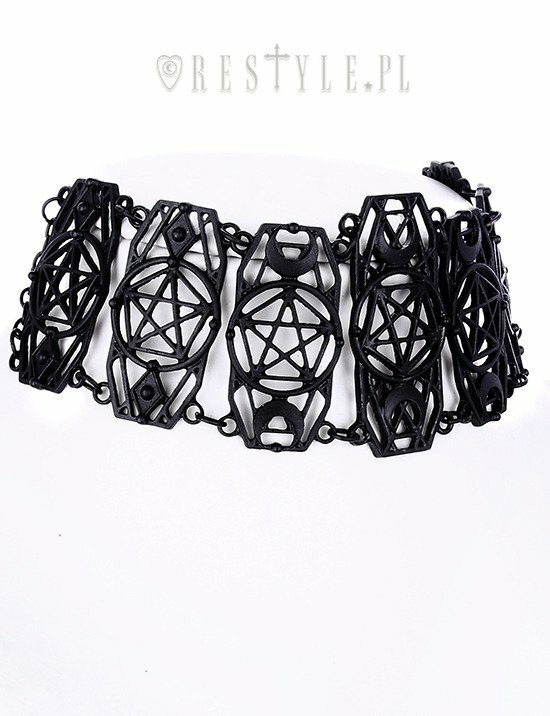 Geometric collar with pentagram and crescents, occult jewellery "WICKED CHOKER"
Choker made of seven geometric segments adorned with pentagrams and crescents. 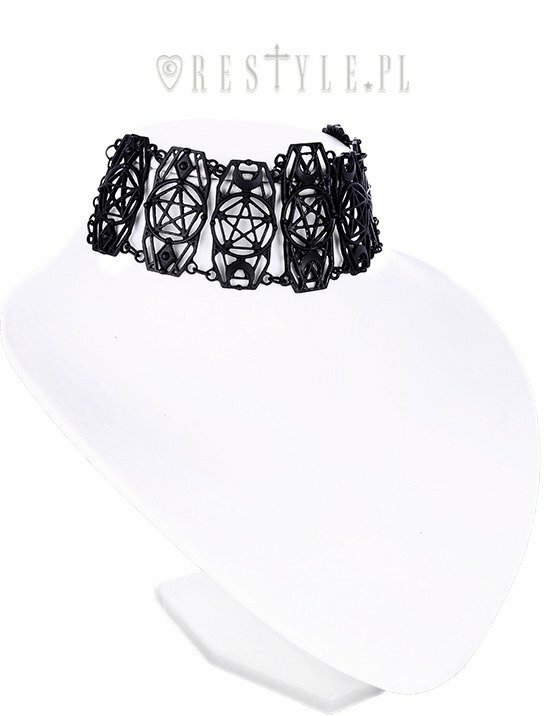 Choker is adjustable. One size fits all. 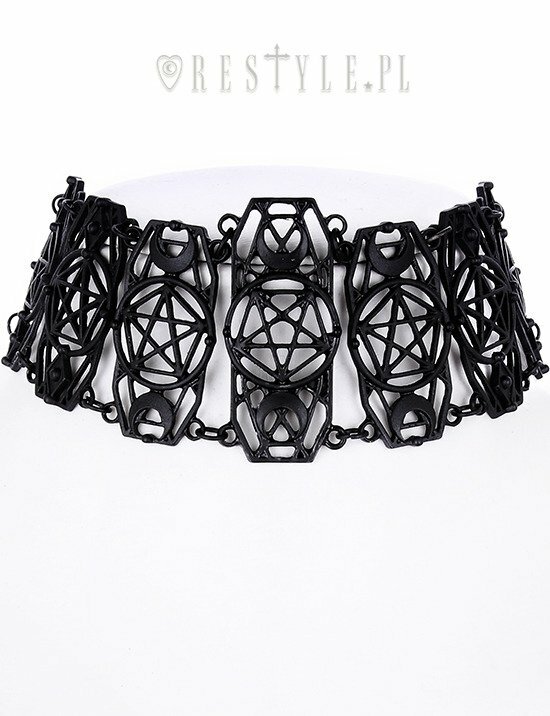 Restyle's unique jewellery design with the original branding. So beautiful! 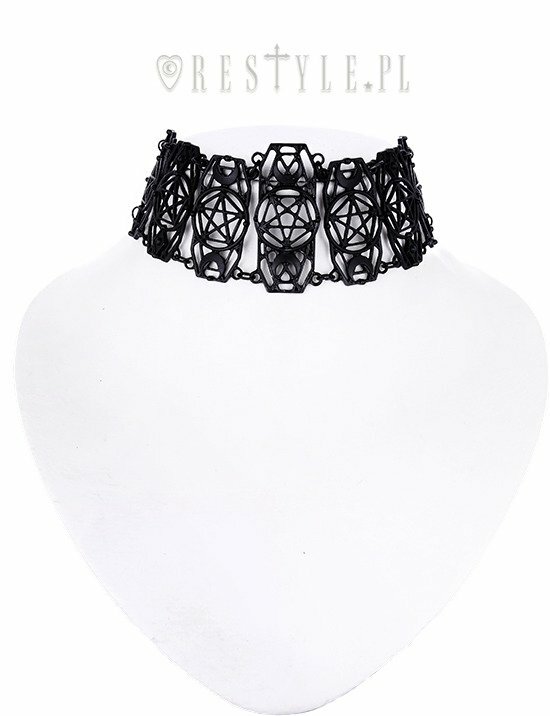 The necklace looks just like the picture, it's light to wear and the chain is so long it will surely fit any size!